PV design course addresses process equipment, designed for who would like to pursue their career in process equipment design industry as a engineering of process equipment design engineer. +–What is the objective of pv design course ? +–Who should attend pv design course? ▸▾Why pv design training is needed ? One can work in any type of industry (oil & gas, petrochemical, refinery, rubber plants, offshore platforms) as static equipment design engineer by taking this PV design training. You can also work with small fabricators who do actual fabrication of pressure vessels. There is an opportunity to work with companies who make pressure vessel software. 50-60% of Indians working in abroad belong to this type of industry. ▸▾What is PV design ? 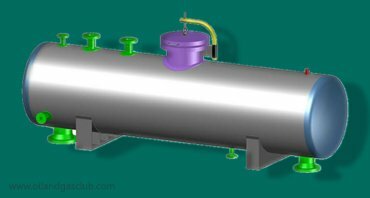 Pressure vessel is storage of container under pressure. It has different types of nozzle connections which are further connected to piping. All the above pressure vessels are designed as per ASM Section VIII Div.1. All types of vessels exists in different types of industry such as Oil & Gas, Petrochemical, Refinery, Rubber plants, offshore platforms & also in various types of small scale industries. Our trainer has over 14 years of experience in fertilizer, power, pharmaceutical and oil and gas. He having through knowledge of FEED, design, checking detailing fabrication drawing & bill of material, expertise in designing of heat exchanger, pressure vessel, columns & tanks for highly corrosive & chemical resistant material, reactors, storage tanks, spheres, waste heat boilers, air cooled heat exchangers and having sound knowledge of international codes like ASME, TEMA, API and various other specification and standards etc. ▸▾Pay-scale of PV Designer ?